$275. Vintage mid century modern adjustable hanging light with drum shade, c. 1960. 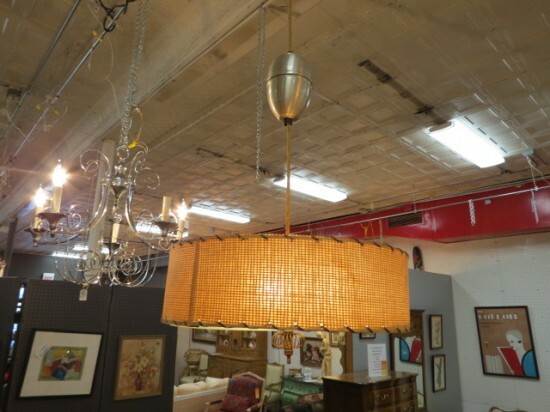 3 lights with Lucite bottom and curly que finial. Grass cloth drum shade with whipstitching. Moves up or down. Perfect for your kitchen or dining room. Very good condition. 15in wide, 32in tall (height is adjustable).